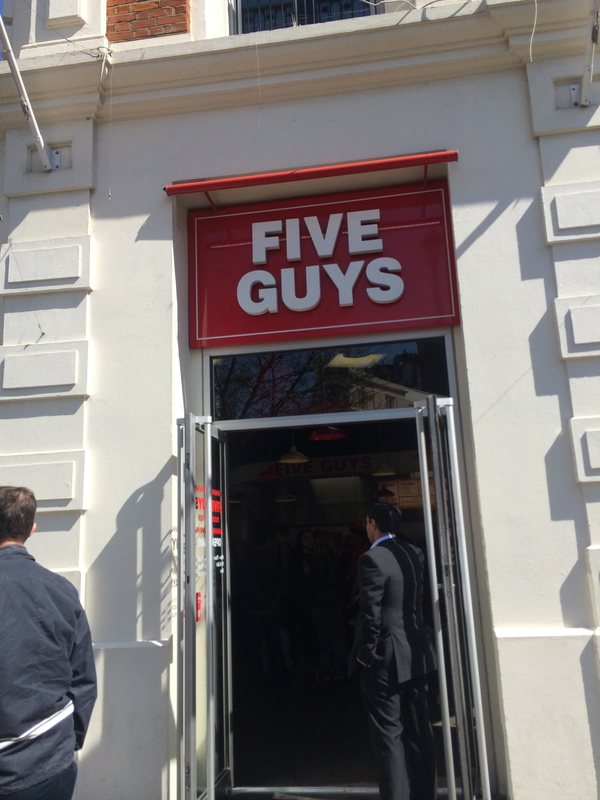 HomeMy first Five Guy experience! 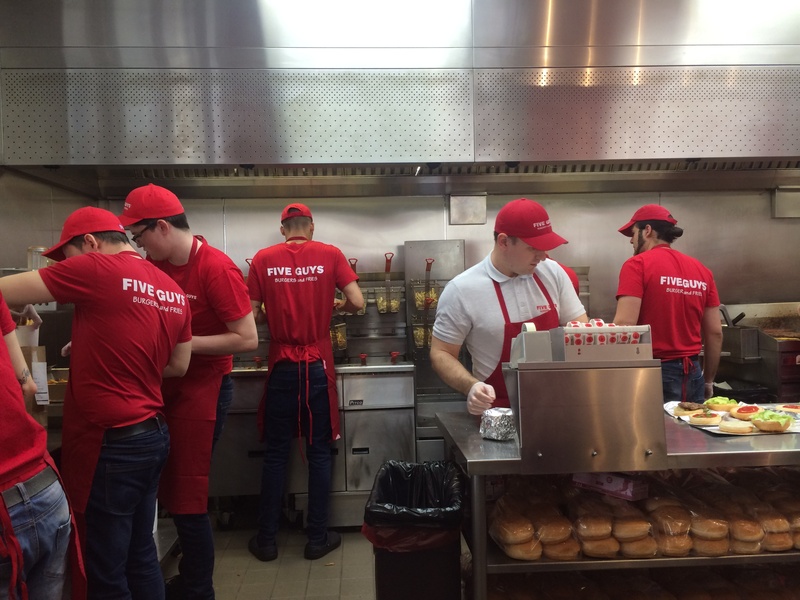 My first Five Guy experience! 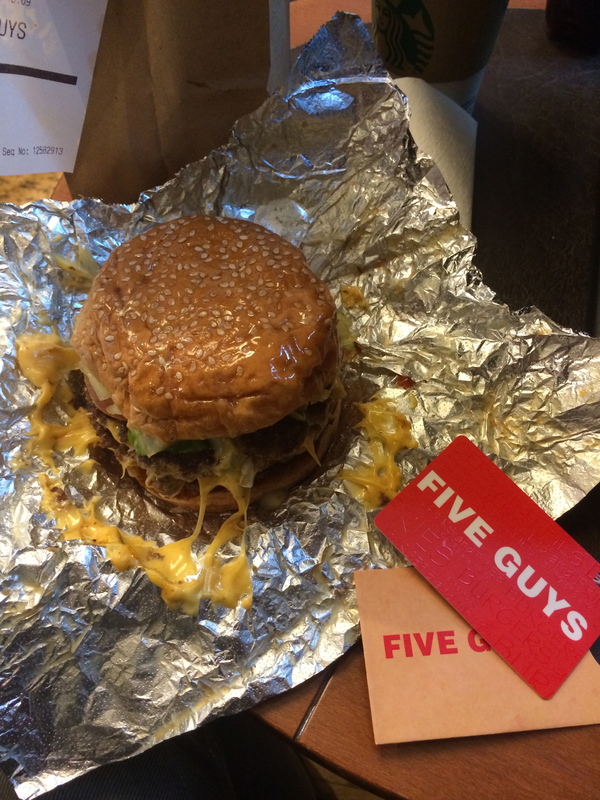 It’s true, i’m a Five Guy virgin! I know, I know, I’m super late jumping on this band wagon, and considering there is one at the end of the road my office is on, i really have no excuse. It’s just every time i have walked past, there is some sort of crazy cue, or the people i’m with don’t fancy a burger. So it’s just sort of never happened. But last week i decided enough was enough! 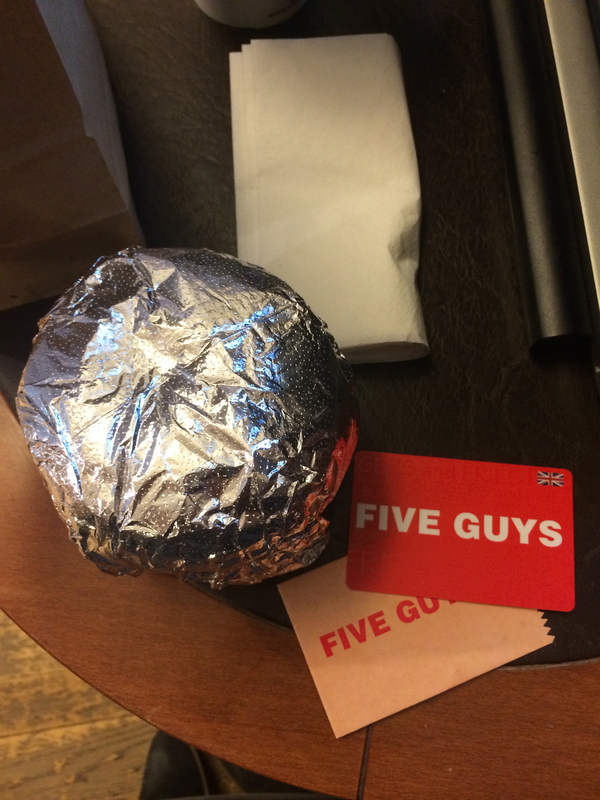 I was going to take the Five Guy plunge. What i didn’t realise until i went on the website to have a look at exactly what all the hype was about, is that you can pre-order your food! Considering there always seems to be a huge cue out the front, just to get in, this is an amazing idea, especially if your just grabbing a quick lunch before heading back to the office. Pick your burger or hot dog, add on any fries, drinks or extras, pick your time slot to pick it up and pay, simple as that! They send you an email confirmation that you show them at the counter and then your good to go. You can still eat in store if you fancy it, it just means you get to jump straight to the cue to get your food! Everyone looks on very enviously wondering why your so lucky! While you wait for your lunch of dreams to be prepared you can see exactly whats being made, and how, which i think is a really nice touch. 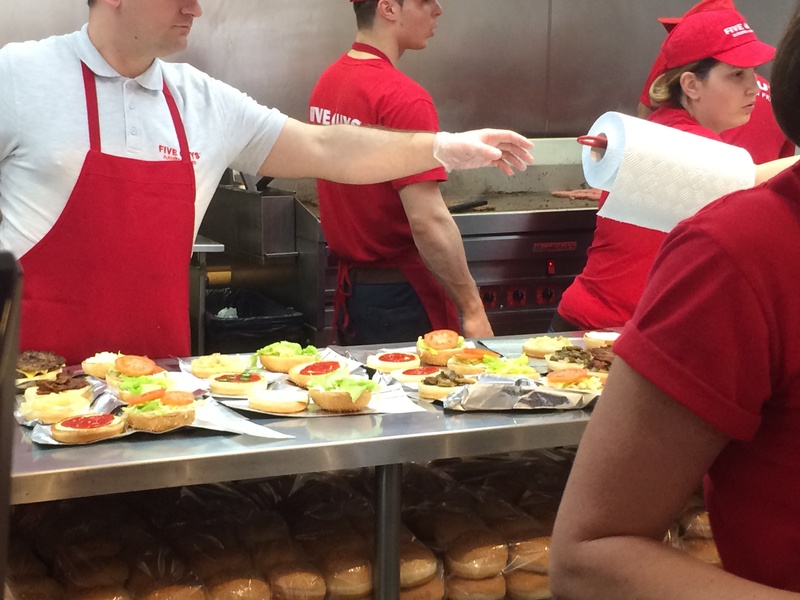 It just gives you that piece of mind that you dont tend to get from fast food restaurants, that you know exactly how your burger is being cooked. Soon enough, your handed your silver parcel of joy! They smell so good that even Katie in my office, a vegetarian may i add, commented on how yummy it smelt! 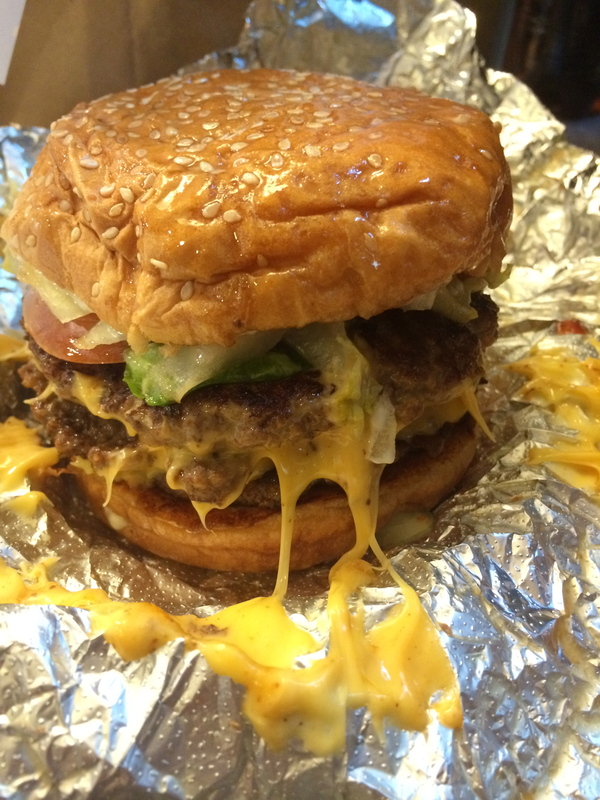 Inside is your cheese, greasy, meaty goodness. 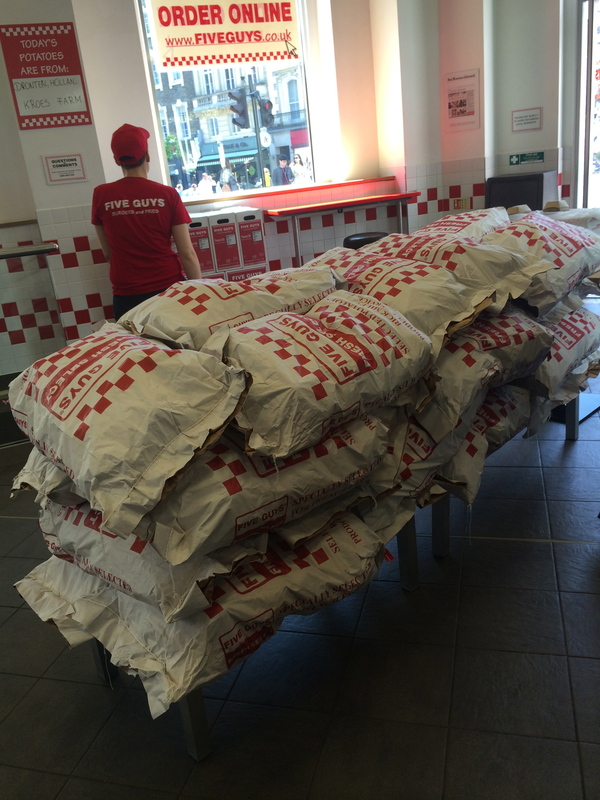 I didn’t go for fries as i wasn’t hugely hungry and with the size of the burgers i knew that would be enough for me. And boy it was! I couldn’t even finish it! It was HUGE! It was so juicy and fresh considering its classed as “fast food”. The only thing i would say is that its a little pricy. My burger alone was £8 but i did add an extra patty. 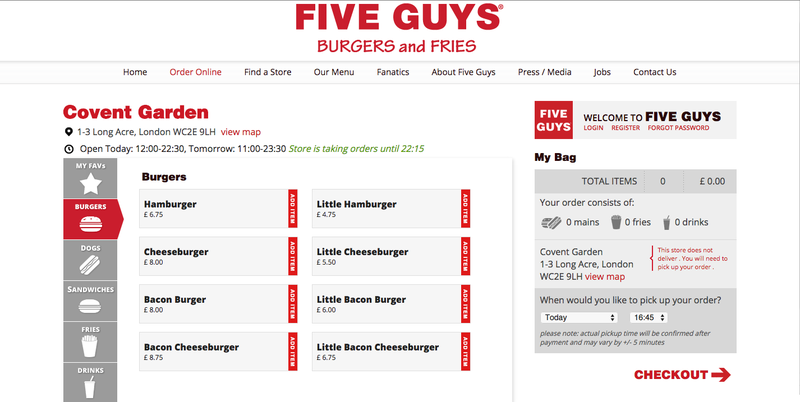 However, if you were to add fries and a drink to your order, you could easily be looking at around £15 just for lunch. But it is defo worth a trip, just to try it. They are popping up everywhere now too so you have no excuse! 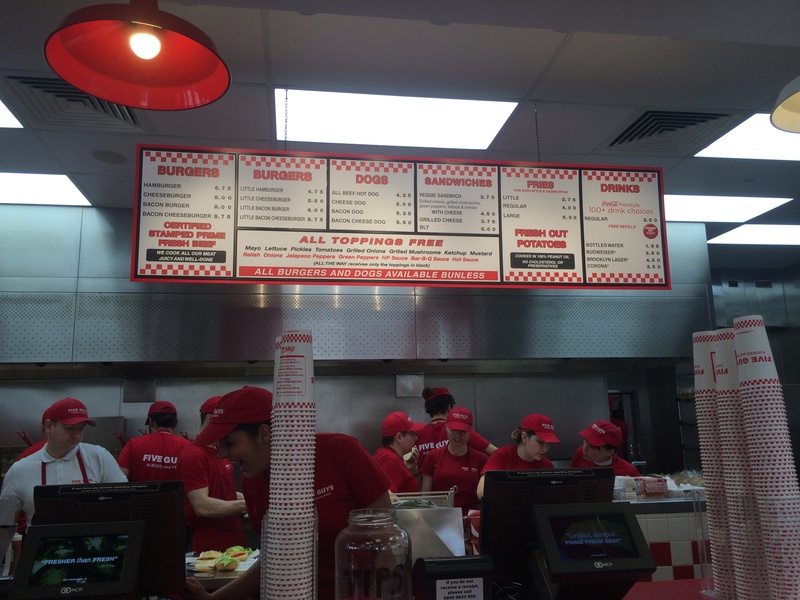 Five Guy virginity lost!